Sold by Amazing_Buy (4.8 out of 5 | 10,825 ratings) and Fulfilled by Amazon. Gift-wrap available. The book even provides an insight into some of the world’s top companies and renowned personalities. For instance, the book tells about keystone habits of various individuals like Olympic swimmer Michael Phelps, civil rights hero Martin Luther King Jr. and Starbucks CEO Howard Schultz. Even success stories of different organizations, like Procter & Gamble, Target superstores, Rick Warren's Saddleback Church, NFL locker rooms along with that of the nation's largest hospitals are highlighted in the book. Working with the New York Times, Charles Duhigg is a journalist and non-fiction author. 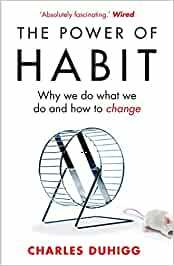 Charles has authored two books on habits and productivity; both books have been received well in many parts of the world. 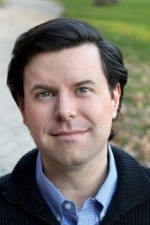 Charles Duhigg is an American Pulitzer prize winning staff writer at the New York Times. He studied at Yale and holds an MBA degree from Harvard Business School. Charles is also a frequent contributor to This American Life, NPR, PBS News Hour and the Frontline. He had a keen interest in observing Habits years ago when he worked as a reporter in Iraq.